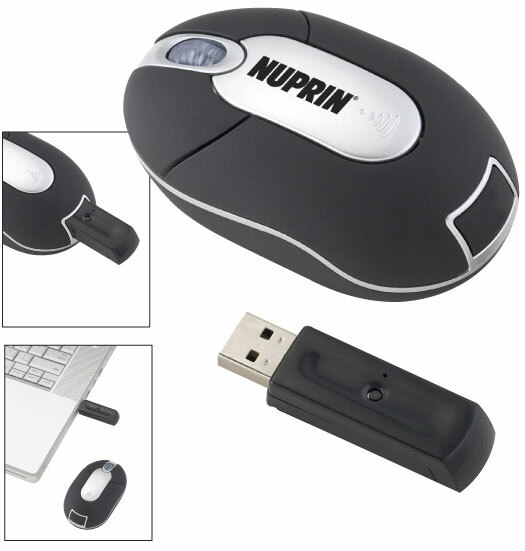 Plastic, wireless optical mouse uses RF wireless technology. Automatic power saving sleep function prolongs battery life. Hidden compartment for storing USB connector. Plug and play technology. Includes AAA batteries included (not inserted). 3 5/16" x 2" x 1 3/16"